Today we’re continuing to tackle common myths about solar energy. To learn more about the first two myths, read here. This myth is based in outdated solar technology. It’s true that during the 70’s and 80’s when solar panels were being developed, it was estimated that it would take upwards of 10 years for those panels to produce the energy that was needed to create them. And because of the deterioration, it was sometimes even possible that panels wouldn’t be able to pay back the energy it took to make them before they were completely damaged and had to be replaced! However, that was a long time ago. Today, solar panels are much more efficient, and much easier to make. In fact, in Utah’s sun, it only takes about a year for a solar panel to make the equivalent amount of energy that it took to produce it. And with better technology, those panels will long outlive their predecessors, producing far more than the energy it took to make them. News stories have come out in recent years detailing the harm that solar panels can do to the environment. Why? Well, while they might just look like simple windows, solar panels are complex machines made using the same components of e-waste found in cell phones and computers, such as chromium, lead, and cadmium. When large quantities of solar panels are improperly disposed of, they can leak dangerous toxins into the environment. However, most environmental impact surveys report that the potential harm of solar panels is lesser than the impact of other non-renewable energy sources, even if it’s not yet perfect. All the same, improper disposal can still be a problem as solar panels become more and more ubiquitous. The answer, of course, is to do the same thing we do with any other e-waste: proper and responsible disposal. These potentially-toxic materials can be responsibly reused, which mitigates the danger of environmental contamination and contributes to more sustainable construction of the things that we use every day. 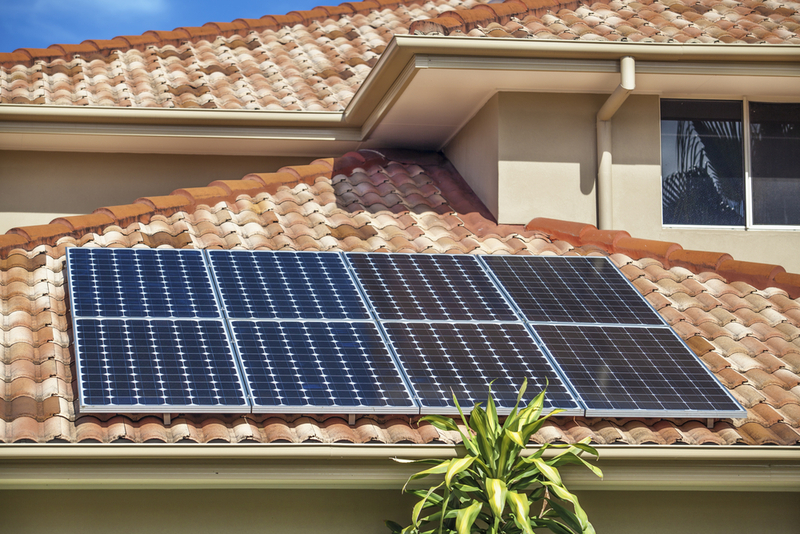 Some homeowners estimate that it will take as many as 25 years (depending on the number of panels they install) for the investment they make in solar energy to be returned to them through energy cost savings. So, if you’re not planning to live in that house for 25 full years, why should you front the initial investment? Well, the truth is that with the leaps and bounds made in solar tech in the last two years, it will usually take much less time to achieve a 100% ROI on your solar investment. In fact, many estimates now put it at closer to 5-7 years. Ultimately, of course, this will depend on your personal energy usage habits . However, even if you’re not going to stay in one place long enough to see a complete return on your investment in energy savings, it’s still worthwhile to consider the return that you’ll get because of the increase in your home’s value. Often, your house will sell quicker and for a higher price because people want a home with less energy costs, and more eco-conscious energy, without having to deal with all the bother of the initial installation.